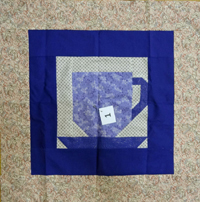 The Sew A Row Challenge is a fun and easy way to take part in the making of a quilt by providing one or more rows to the project. Beginning in January, members “start” rows or medallions and they are put up for adoption for the next person to put his/her creative stamp on it. The original colors and design are considered, and expanded upon as each row is added to the first. As each person turns in their row, they are asked to include any fabric scraps, so they can be incorporated into the rest of the rows. 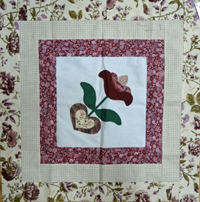 By the end of the year, several members have added love to the rows, and a nice quilt top has been created. 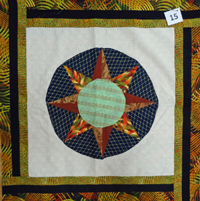 In December there is a rolling of the dice to determine which lucky participant gets to take the quilt top home. This year we will have some really creative rows and medallions on hand to be adopted. Keep checking back to keep an eye on what might pique your interest! If you are interested in particpating or have any questions please contact Jeanne Parent.